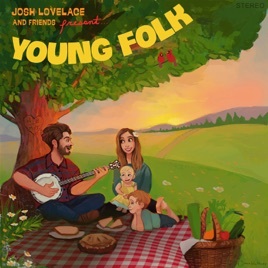 This album is so easy to listen to as a parent and I absolutely the folk element. Thanks for making a kids album that doesn’t make me want to pull my hair out! Look, I don’t even have kids and this thing is full of gems. “More time with you” in particular stands out as a fantastic song. Do yourself a favor and give it a shot. Then sing about bears in the woods. This album is so cool! My husband and I don’t have children yet, but I do nannying for a family with little ones. The kids are constantly listening to music (some I can only listen to for so long!). This album is so not that way. It has such a good vibe and is something I can enjoy as well as the kids. Love the lyrics too. Can’t wait for my own children to grow up listening to this! Hoping Josh keeps making more Young Folk music in the future!